Cellulose, couchgrass (rhizome), buchu (leaf), uva ursi (leaf), juniper berry (fruit), hydrangea (root), cornsilk (stylus), rhubarb (root 4:1 extract), senna (leaf extract) (20% sennosides), cascara sagrada (bark extract) (20% cascaroside A), oat (fiber), prune (fruit), senna (leaf), carob, apple (fruit), tamarind (whole plant extract), date (fruit), fig (fruit); Bacillus coagulans (a probiotic) 75 million CFU*. *Percent Daily Value not established. 601mg*: bitter orange (Advantra ZTM), African mango, green tea extract 50% EGCG, cha de bugre, white kidney bean extract, l-arginine, trimethylglycine, aloe vera powder (200:1). Percent Daily Value (DV) based on a 2,000 calorie diet. *Percent Daily Value not established. *Guarana Free Formula is safe for kids. A Great Way To Take Control Of Your Health! Personal Growth & Development We are very focused on helping everyone succeed and have designed the program to provide encouragement and education along your personal health journey to make the most of your Challenge experience. Exercise for a Healthy Lifestyle Maybe you’ve never really exercised or maybe it’s been some time since you’ve been on an exercise program. We will encourage you to increase your level of activity no matter where you are. Weight Management Many people are attracted to the Challenge to lose weight and maintain their optimal weight for life. Zeal products have been proven to help in this area. Balanced Nutrition Balanced nutrition is the foundation that everything is built on. Without balanced nutrition, you may not have the energy to exercise or control your weight. You may be dealing with unhealthy cravings because your body is lacking in certain nutritional areas. Start Now > and take advantage of the 30-day risk free trial for Zeal Wellness. 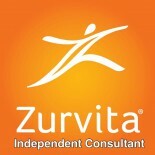 This entry was posted on July 27, 2012 by Zurvita.com/HealthRoads in Canada, Diet, Functional food, Healthcare, Plant Based, United States, Weight Loss, Zeal For Life Products and tagged advantra-z, African Mango, Aloe Vera powder, antioxidants, apple fruit, body builder, Breaking Through the Barriers, buchu leaf, burn fat, calorie count, carob, cascara sagrada, Cellulose, cha de bugre, challenge calls, Citrus Aurantium, Colitis Foundation of America, cornsilk stylus, couchgrass, date fruit, Detroit Medical Center, fig fruit, fitness expert, green tea, Growing Up Strong, Guide to a Healthier Life, hydrangea root, juniper berry fruit, Lifestyle Makeovers, Living with I-B-D, milk thistle, National Bodybuilder, natural healing, natural nutritional drink, NGA, personal trainer, Peter Nielsen, peter nielsen challenge calls, Peter's Principle, Plant Based, Principles of hope, Prune fruit, senna leaf extract, tamarind, Transformation system, Trymethylglycine, uva ursi leaf, vitamins, weight loss, White Kidney Bean extract, Will of Iron, zeal burn, zeal cleanse, zeal for life, Zeal For Life Canada, zeal for life challenge, zeal for life consultant houston, Zeal For Life Products, zeal weight management, zeal wellness formula, Zhi Shi powder, zurvita burn, zurvita cleanse, zurvita products, Zurvita Protein, Zurvita transformation, Zurvita Transformation system, Zurvita weight management.